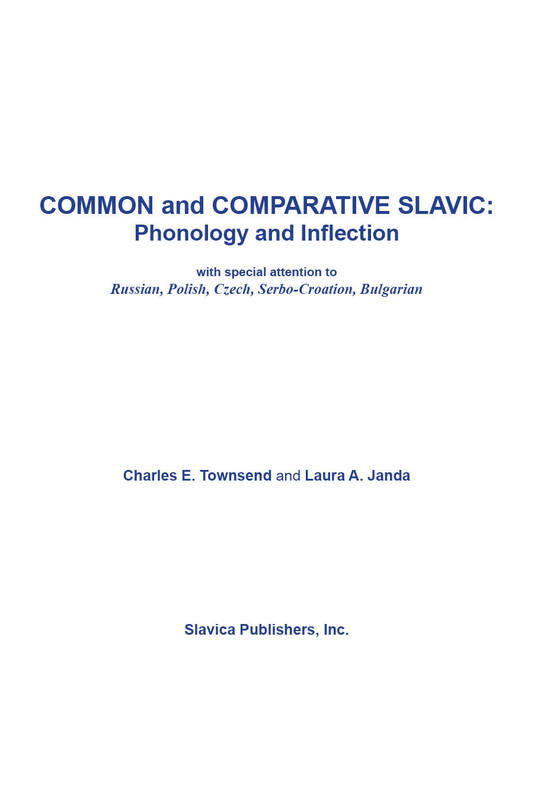 Townsend and Janda's book provides a thorough description of the phonology and inflection of Late Common Slavic with copious background on its precursors and a detailed survey of its stages of development. The comparative approach is blended in from the beginning, with particular attention paid to Russian, Polish, Czech, Serbo-Croatian, and Bulgarian continuations in both phonology and inflection. Nine chapters cover the basic material of the book, which includes such phenomena as the ruki rule, the satem-centum distinction, rising sonority, syllabic synharmony, prosodic features, ablaut, declension, and conjugation. The tenth chapter consists of brief characterizations of the phonology of each of the five languages emphasized, complete with their phonological inventories and the most salient features of their inflectional patterns. The book's orientation is structural and traditional, yet also modern and innovative in certain ways. One of its unique features is its analysis of phonological developments in terms of Jakobsonian distinctive features, which are introduced in detail in the first chapter and then used to explain sonority and tonality adjustments in the phonology. Also unique is the detailed breakdown of the development of Slavic declensions (nouns, adjectives, pronouns, and numerals) and verb classes, treated from both one-stem and traditional points of view. Common and Comparative Slavic will make a superb textbook for courses on the history of Slavic and the five languages it emphasizes, but there are also new formulations which should make the book of interest to the specialist as well as the teacher and graduate student. Common and Comparative Slavic will be an excellent source for students of the Slavic languages who want to learn more about where the modern languages came from and how they differ from one another. It will be just as suitable for reading on one's own as it is for class work. Since it does not presume a deep knowledge of Slavic in advance, it will moreover serve students of general linguistics, Germanic, Romance, etc. who wish to look over the fence and see how another Indo-European language family evolved.